An easy and accessible guide to science projects that can be done in the kitchen, and almost all of the expirements are edible. Teaching your kids science just got better - and tastier! With the awe-inspiring and accessible recipes and projects in Amazing (Mostly) Edible Science, uniting science and cooking has never been easier. Introduce your children to the wonders of science by creating projects and experiments in your very own kitchen. Entertaining to make and spectacular to behold, not only will your child learn important scientific principles, but they can even enjoy the delicious final product. Almost everything made in this book is edible. Learn and appreciate projects like classic exploding volcano cakes, glow-in-the-dark Jell-O, singing cakes, and bouncy eggs. Food expert Andrew Schloss provides you and your kids with practical and humorous projects that include step by step instructions, illustrated with fun full-color photos sure to appeal to kids of all ages. 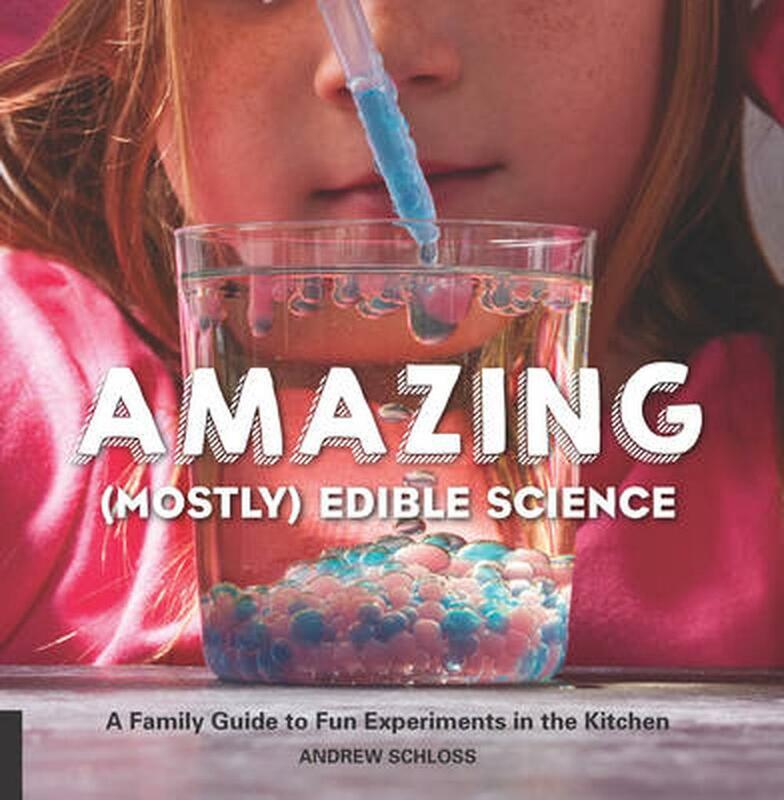 All recipes/projects in this book are non-toxic and safe for consumption; some just to taste (slime, ectoplasm) and many you will love, such as molten chocolate cupcakes, disappearing peppermint pillows, and amber maple syrup crystals! Andrew Schloss is the president of Culinary Generations, Inc., a product development company, and the author of seven cookbooks, including "Fifty Ways to Cook Most Everything". He also serves as the current president of the International Association of Culinary Professionals (IACP). He has written for "The Philadelphia Inquirer, The Washington Post", "Food & Wine" magazine, and "Family Circle", and is a frequent guest on QVC. He lives in Pennsylvania with his wife, three children, and their dog.